Sports memorabilia is popular in Buffalo, as fans want to remember the games, players and moments they cherish. But not every piece of Buffalo sports memorabilia is a winner. Sports humorist Jeff Wozer has discovered the current worst selling items related to our teams. Buddy Nix autographed Lipitor pills. Doug Flutie’s elevator football spikes. 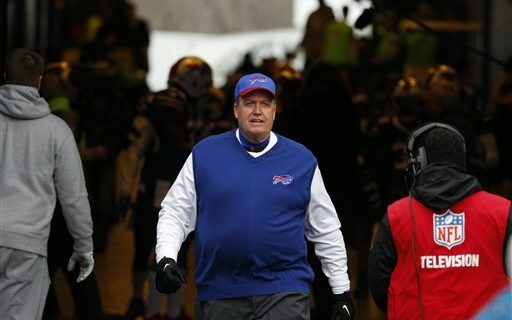 Rex Ryan sweater vests being resold as car seat covers. Buffalo Bills Christmas ornaments autographed by Marv Levy. Two-hour DVD of the team’s greatest fair catches. Discounted Buffalo Bills #1 Foam Fingers that plumbers pulled out of clogged New Era Field Toilets during 47-10 loss to New Orleans. Buffalo Bills logoed ankle bracelet cutters. Ceramic Chan Gailey garden gnomes. The actual jacket used to cover Streaker Guy’s naughtiness. Jeff has also discovered Josh Allen’s biggest apprehensions about starting Bills training camp.